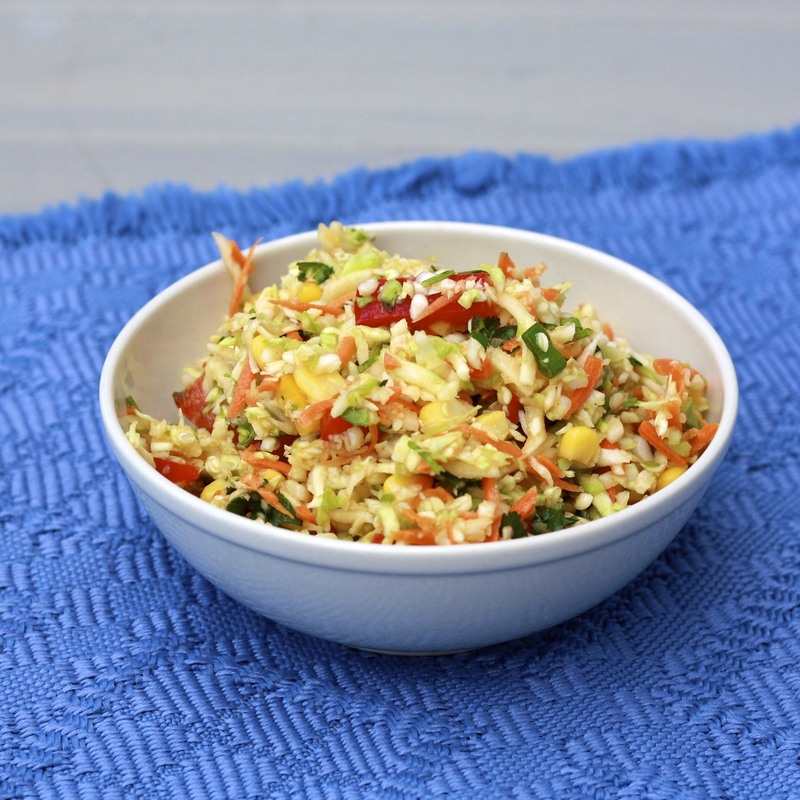 Have you noticed that cole slaw is hit or miss? I’ve had some downright delicious slaws (most recently at the Cardinals game, actually) and then some that I find completely gross. This one—featuring a dressing made from orange juice concentrate, rice vinegar, and oil—falls on the delicious end of the spectrum. 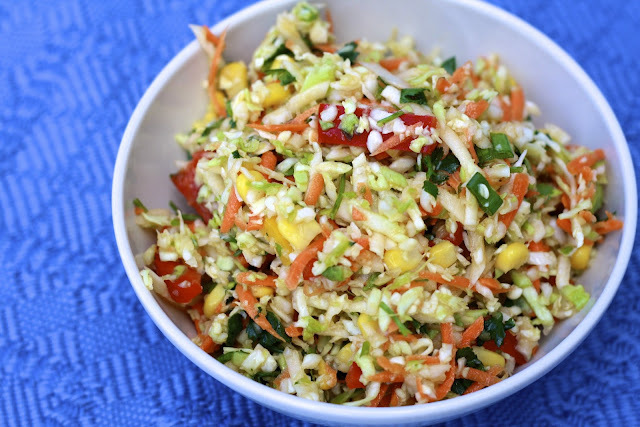 It’s a summer side to pair with just about anything—burgers, grilled chicken, you name it! This makes a pretty large batch, but leftovers keep well. Because it’s mayo-free, it stands up better in the heat than your typical BBQ dish. While it was perfect as is, I also think it would be good with some honey roasted peanuts added just before serving! 1. In a small bowl, whisk together the orange juice concentrate, vinegar, and oil. Set aside. 2. In a large bowl, combine remaining ingredients and mix to combine. Toss with dressing to coat. Season with salt and pepper to taste. 3. Cover and refrigerate before serving.